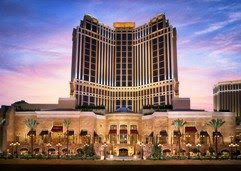 If the economy is slowing down, no one told the Las Vegas Sands Corporation, which opened this addition across from Treasure Island in January, 2008. This 3,000-all-suite honeypot is designed to attract and keep the high rollers. Indeed, there's no reason for guests to ever leave the grounds. From the moment they park in the underground lot to their first steps into their 720-square-foot Palazzo Luxury suite (the hotel's smallest), serious respect is paid to the players. What to do with all those winnings? 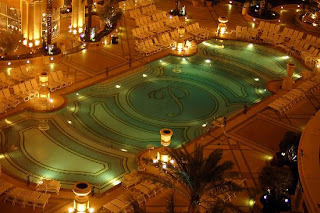 The Shoppes at the Palazzo connect to the Grand Canal Shoppes; the Canyon Ranch SpaClub is part of the renowned family of spas of the same name; and celebrity chefs Charlie Trotter and Emeril Lagasse have restaurants here. For really big winnings, Las Vegas' second Lamborghini dealership is waiting downstairs. As anyone who's been fortunate enough to visit the Italian countryside and seaports knows, the country is famous for its hospitality and a diverse range of diversions. The Palazzo was created with precisely that in mind. The beauty of Capri. The luxurious serenity of Portofino. The couture of Milan. The culinary greatness of Tuscany. The graciousness of the people. Here it all comes together to fashion the epitome of a lifestyle of luxury.